Instead of a pot of gold at the end of the rainbow how about a great time? The black and white St. Patrick’s Day Flyer can help get you there! 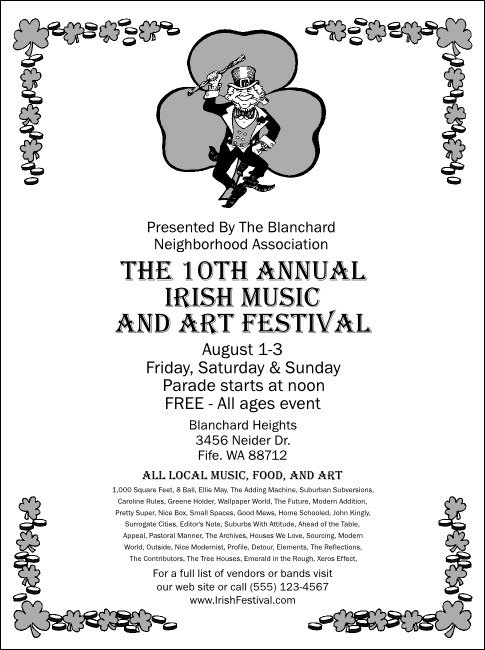 Featuring a leprechaun dancing in front of a shamrock, this affordable flyer has plenty of space for your event’s information! It’s your lucky day! TicketPrinting.com offers the same design on a variety of promotional materials.